» School bond and the price of mocha? School bond and the price of mocha? Researching the price of coffee at the Starbucks at North Albany Village. An advisory committee last year worked up a plan for repairing, expanding or replacing buildings and related facilities in the Greater Albany Public Schools with a price tag of $117 million. In that connection, somebody in one of the committee discussions last fall mentioned the price of a Starbucks beverage, and that worries me a little. 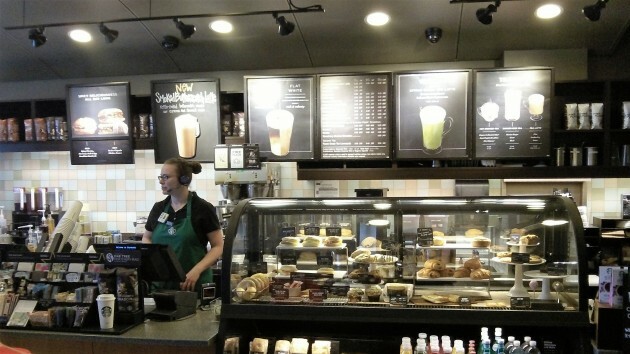 I’m not a Starbucks regular, and I marveled that a coffee order could cost that much. So I went and checked and yes, it’s possible. If you get a certain size of coffee and load it up with all possible extras, I was told you’d pay $6.85. Pretty close. You can take a look at the facilities plan sent to the school board last month. It’s available on the GAPS website, http://www.albany.k12.or.us/. The plan calls for a $46 million package of basic stuff like wiring, roofing, paint, fire systems, technology and so forth. Added to that would be, as a second priority, replacing Clover Ridge and Oak Grove elementary schools with bigger ones at a cost of $45 million. Then there’s the third priority: Replacing a wing at West Albany High School and completing a “culinary classroom at South, totaling some $13.4 million. Whatever is requested by the board would, if approved by voters, replace a $55 million bond issue passed in 2006, which paid for even more basic upgrades (boilers, for example), built Timber Ridge School for $22 million, and will be paid off this fiscal year. 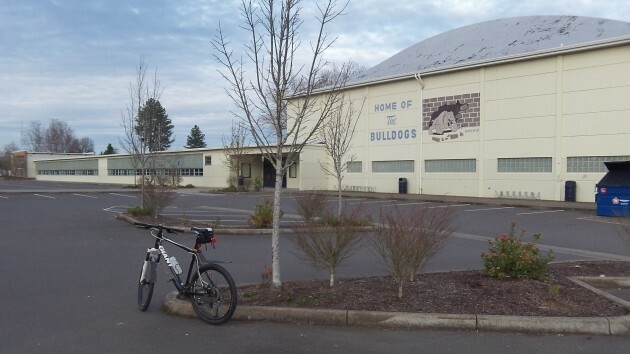 The plan calls for a new wing of classrooms at West Albany High, among many other things. When students have to wear jackets in a classroom that’s in the 50s during the winter, or open windows because the heater is on during the summer, at WAHS, something obviously needs to be fixed. I’ve got no idea what the price tag should be, but some basic needs are already not being met and the cost is just going to go up. Don’t get me started on the lack of STEM facilities, focus on capital instead of labor, or the rather obvious disadvantage we all put ourselves in when we don’t educate our youth. It may be a latte or a mocha but there is a price we all pay. PS- Go local at Sidekicks! Many of us are on a Folger’s budget. Thanks Hasso for placing this concise info out there.The starbucks comparison is the same tactic used by the City about the cost of water i.e. until the cost of City supplied water exceeds the cost of bottled water ; the price is right. I lump the public schools as just another gov’t bureaucratic union controlled mess and I will campaign against the bond.to stop the overreach of non-essentials. The bond vote is the only method allowed to influence the system since neither the referendum nor the initiative petition can be used. Another example of over reach is the SB decision to adopt whole day kindergarten–yep we’ll offer another service which means we;ll need more space and more teachers and you taxpayers are required to pay the difference without any recourse. I am in agreement. This argument comes up repeatedly when folks try to convince us to spend money on something: It’s only $5 per day or week– people spend that on their morning coffee. Spendthrift people do this. Frugal folks like me make coffee ourselves for far, far less. When I was saving for my house down payment, if I had spent money like that, I would never have been able to buy my house. As I save for retirement and am helping my kids in college — I still can’t spend $5 a day on coffee. And, I have taught my two girls in college how wasteful one cup of bistro coffee a day can be, and they also make coffee at home much more frequently than buying a cup at the bistro. When I am retirement, I sure won’t be able to afford $5 coffees each day..
It’s a disingenuous argument and should be retired. By the way: I make either brewed coffee or use a french press at home — depending on how much I want to make. I buy either Pete’s, Alan Brothers, Starbuck’s or Seattle’s Best. The coffee I make at home, and in my office at work, is as good as what I can get at a bistro. I’d be curious to hear about the coffee habits of other contributors to this forum. The Starbucks comparison is both specious and presumptive. My daily ration comes from a jar and mixed with tap water. I managed to put back some coin while working, schooling children, rarely vacationing. Needed to have enough to live on in retirement so that we weren’t going to be forced to live on cat food in our latter days. I’d welcome a presentation of needs, solutions, and benefits that doesn’t use the “tiny cost” selling line. Fully understand the economics. Decided to play along with the coffee story. First, make the “cost of a cup of coffee” claim. The marketing script never changes. I make my own coffee in the morning, one cup at a time. It probably cost me less than 25 cents a cup. Maybe that should be used as a comparison on how much I would be willing to pay for more taxes? I am concerned how tax money is used by schools. I have a suspension that there is a whole lot of money wasting going on. Dare I say, poor management priorities on what and where the money is spent. Just so there’s no confusion, in the discussion summarized in the committee report, the annual tax bill for a $80 million GAPS bond on a $200,000 property was estimated at $346; the annual bill for a $100 million bond was estimated at $432, or $86 more, or $7.16 more per month.